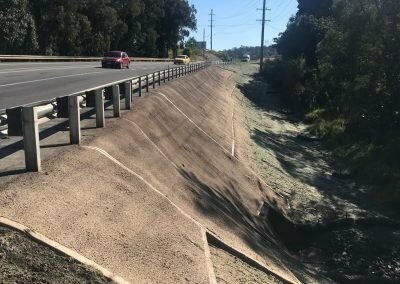 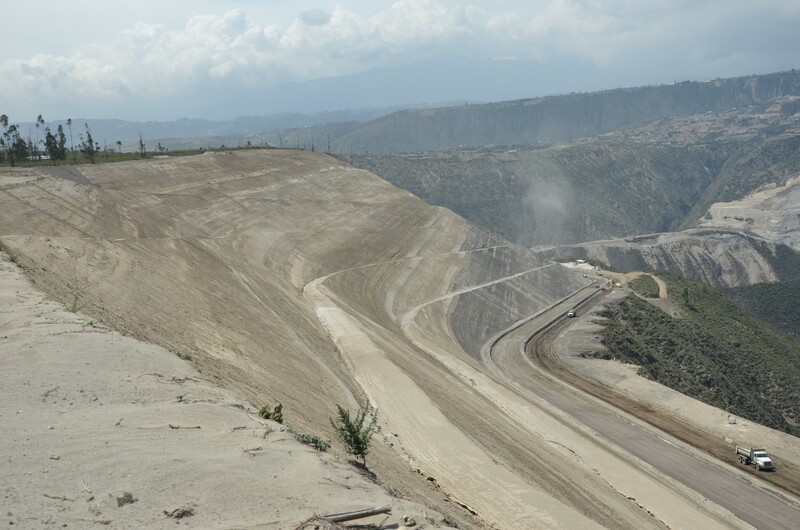 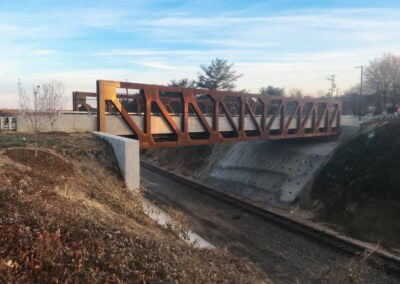 Steep cuts along the newly constructed access road to the airport required surface protection against deep erosion and shallow surface sliding. 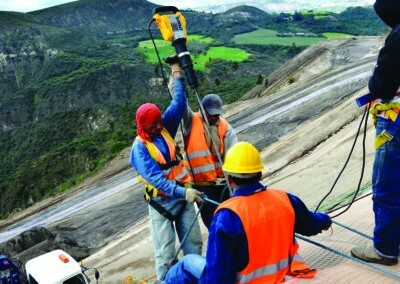 Traditional shotcrete methods were used on much of the easy access areas. 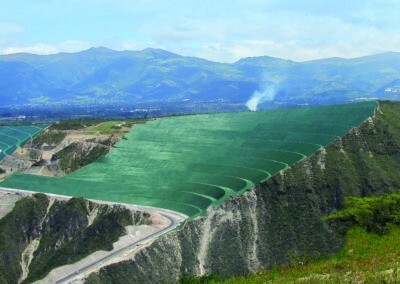 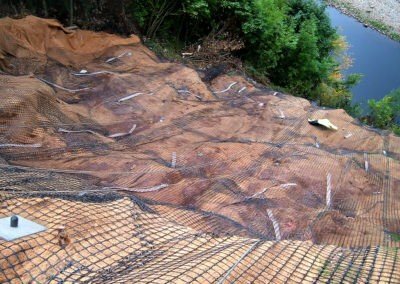 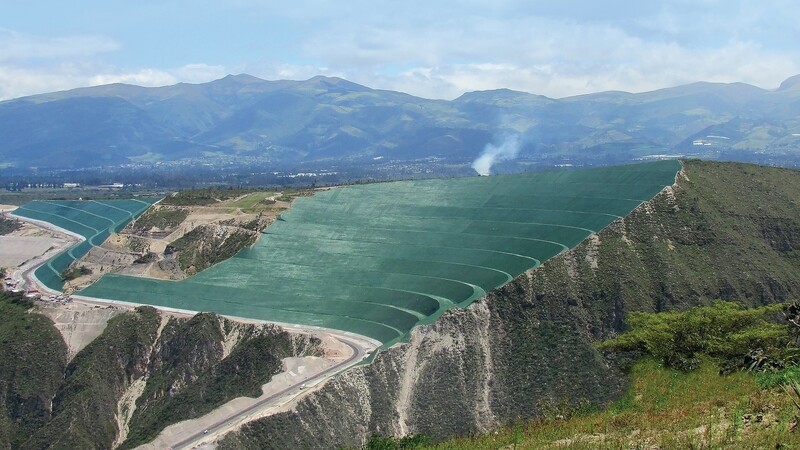 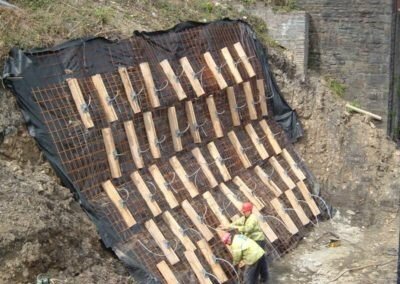 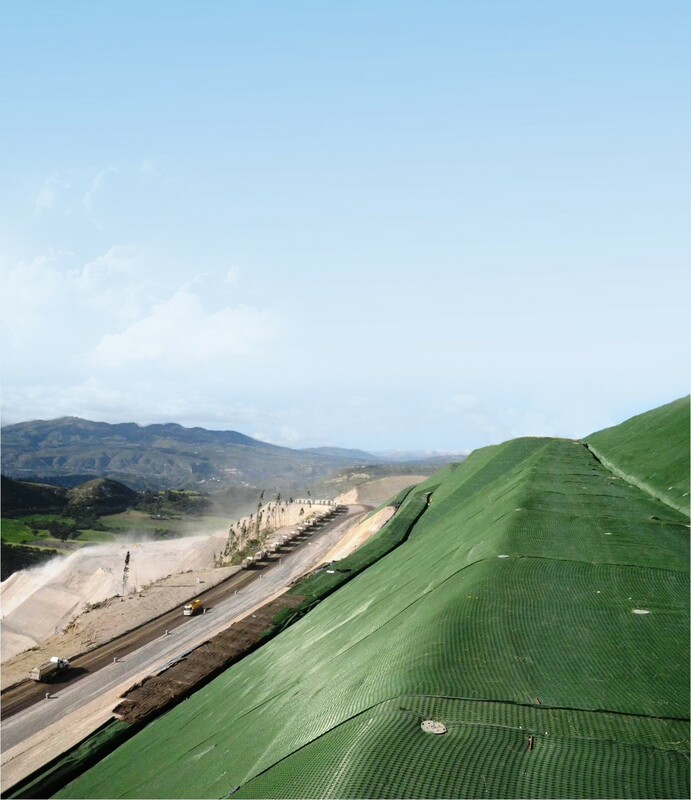 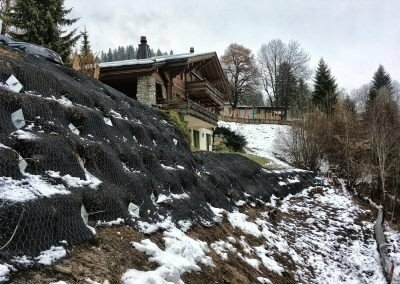 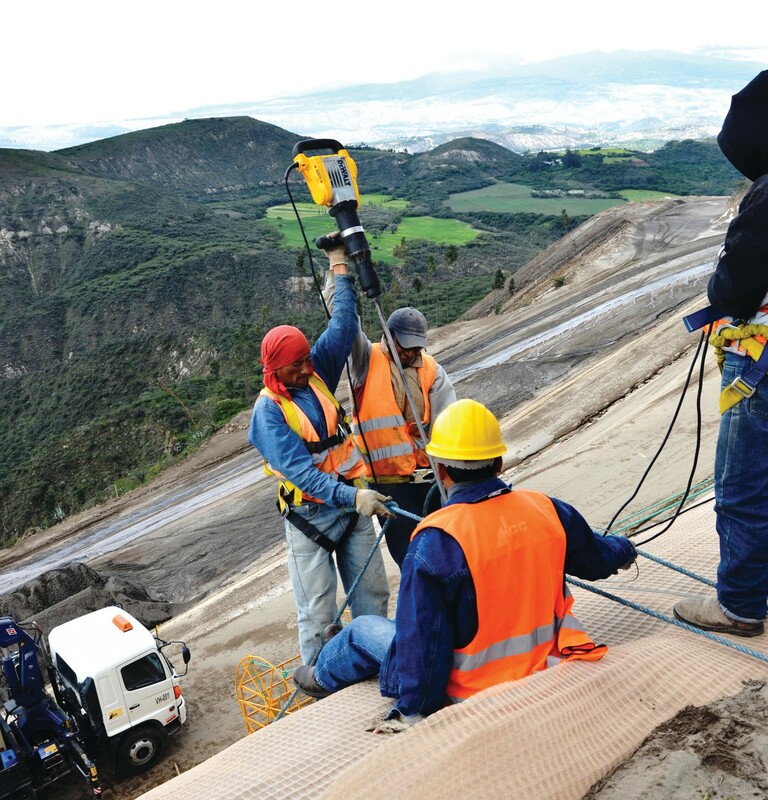 The extremely high slopes posed difficulties for traditional methods so Platipus introduced the Reinforced Grid Solution (ARGS®) to protect the surface. 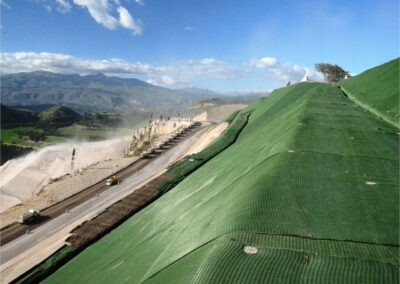 The solution was employed and recently withstood a 5.1 earthquake on August 12th 2014 while other unprotected areas experienced some failures. 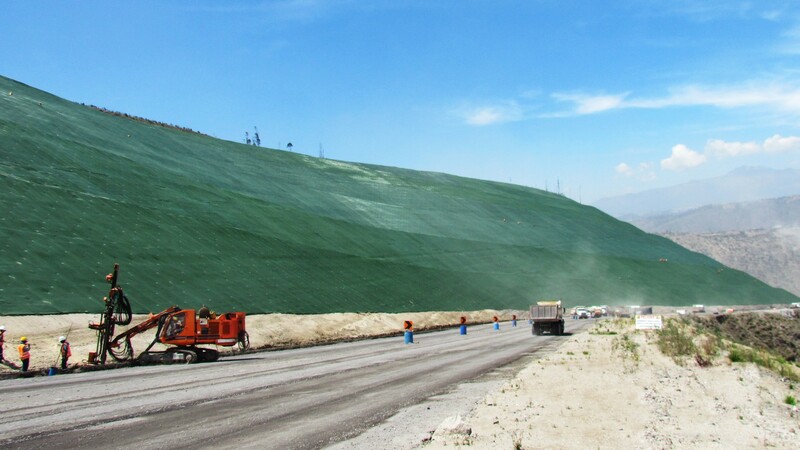 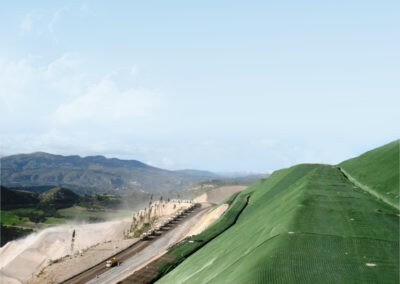 The cut slopes were first protected with 2 layers of erosion control materials. 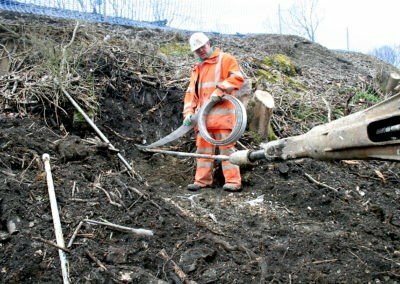 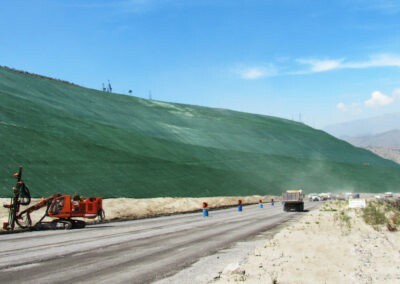 The first provided the erosion protection and kept the surface soil from sliding down the slope. 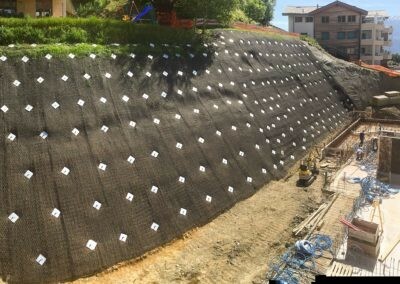 The top layer provided the strength to handle the load generated by the Percussive Driven Earth Anchor (PDEA®) as well as UV protection.